Class Meetings: Dialogue, discussion and decisions. Welcome to the second part of the series on creating community together. The previous entry was focused on the early work the children do to establish guidelines and norms for the school year in each classroom. But, of course, troubles and complications will arise even when we’ve created a class constitution. Not everyone can abide by the rules as set all the time, and conflicts over interpretations of the constitution will appear almost as soon as the ink has dried. So each classroom must have a mechanism for revisiting the guidelines as established, and for modifying and refining the ideas that were first set down to address specific situations that arise. The usual tool used for this is the class meeting. 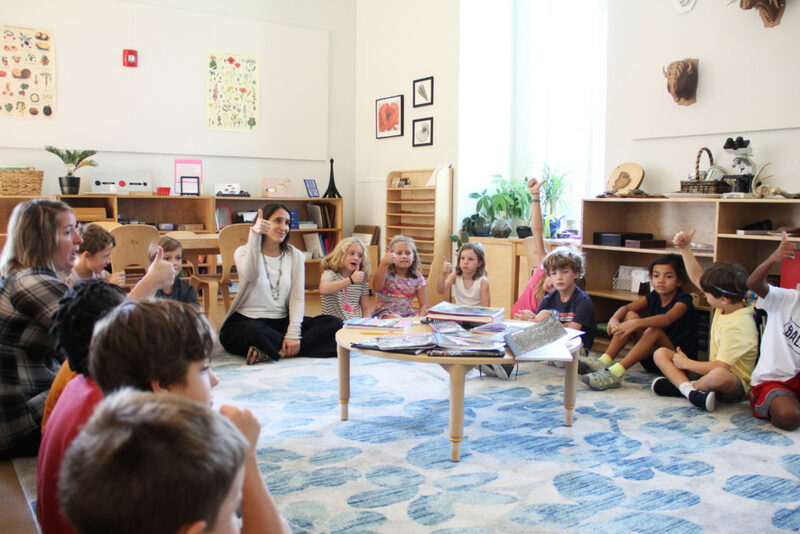 Like the creation of the class constitution, the class meeting can have a variety of formats or be run in a variety of different ways depending on the children and the teacher, but at its most basic, the class meeting is a convening of all children and adults in the environment. Meetings can be regularly scheduled or not. They can be announced or impromptu. They may or may not have agendas. They can be quick or extensive. 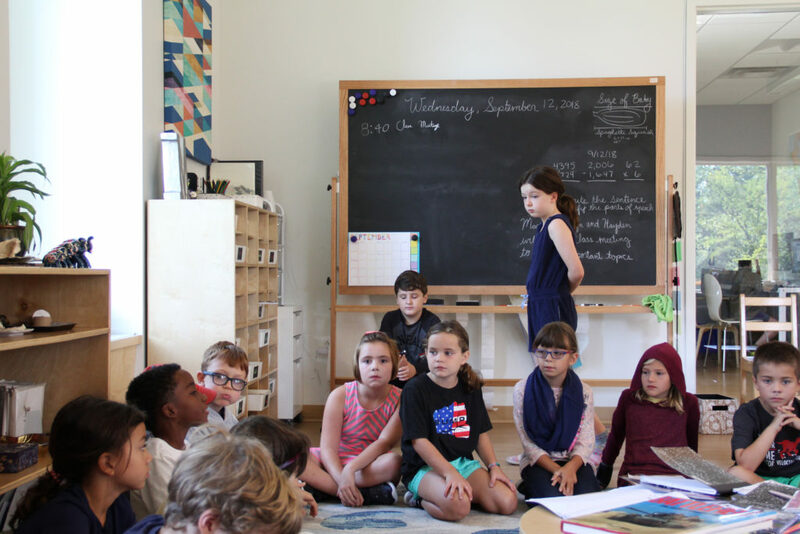 In fact, the children will have already experienced a class meeting on their first day, even if it is not labeled as such, because gathering to create the class constitution was – itself – done through a class meeting. 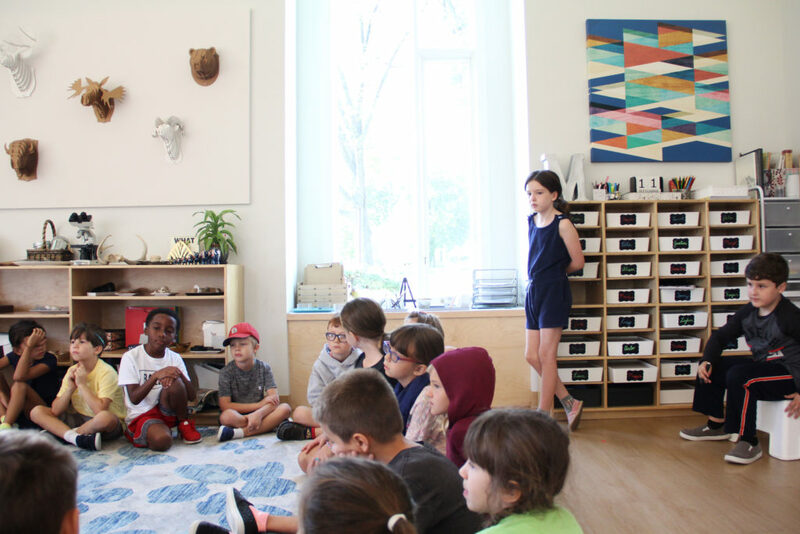 The class meeting is where the children have the opportunity to work on a variety of critical social skills as well as gathering as a group. 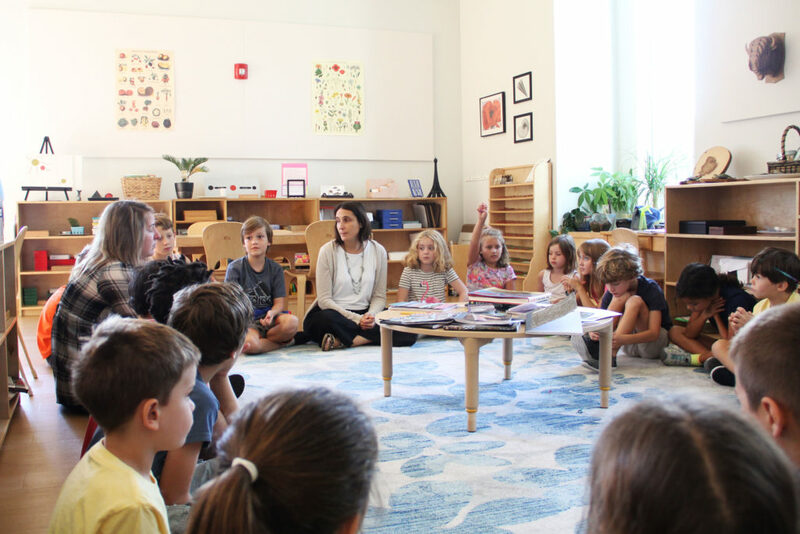 A class meeting could be as simple as an announcement about an unusual itinerary for the day or it could be tackling a thorny and persistent issue surrounding interpersonal relationships or coming together as a group to tackle a class-wide problem. 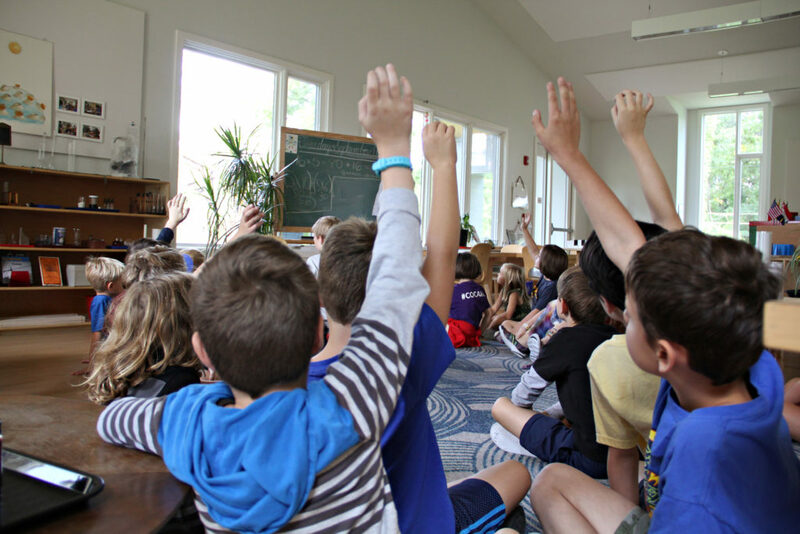 In a class meeting all are expected to listen to the speaker, to raise their hands and wait to be acknowledged before they speak, and to present their ideas or comments in as clear and constructive a way as possible. As mentioned before, the ideal situation is one in which the children have as much responsibility as they can handle. In some classrooms, children call class meetings or make agendas. 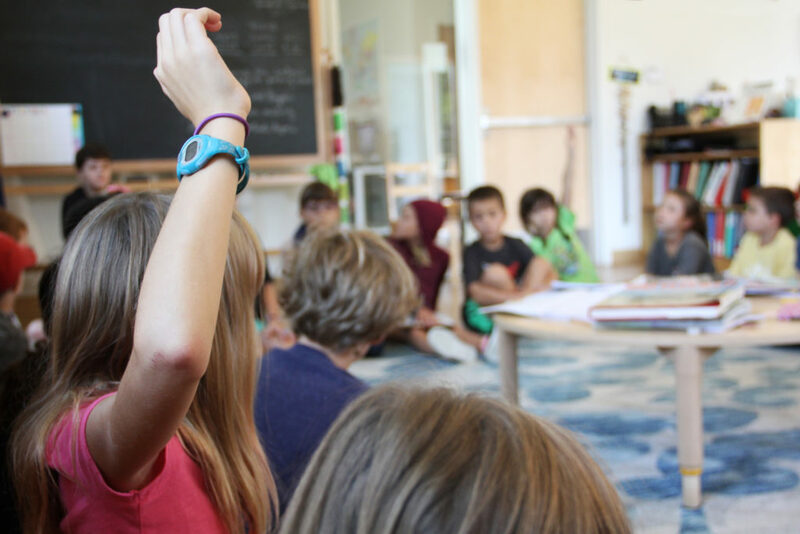 Guide Megan Eilers has implemented a fabulous system for class meetings which places the bulk of the responsibility on the children. They decide on the agenda and run the meetings, which are scheduled weekly. There’s a notebook in the classroom where members of the community (children or adults) may write class meeting topics, along with their name. Items written in the book are of two types: announcements and reminders which do not require discussion or input, and matters which are to be discussed and decided on by the group (usually through a simple majority vote). Three children are assigned to run the meeting each week. 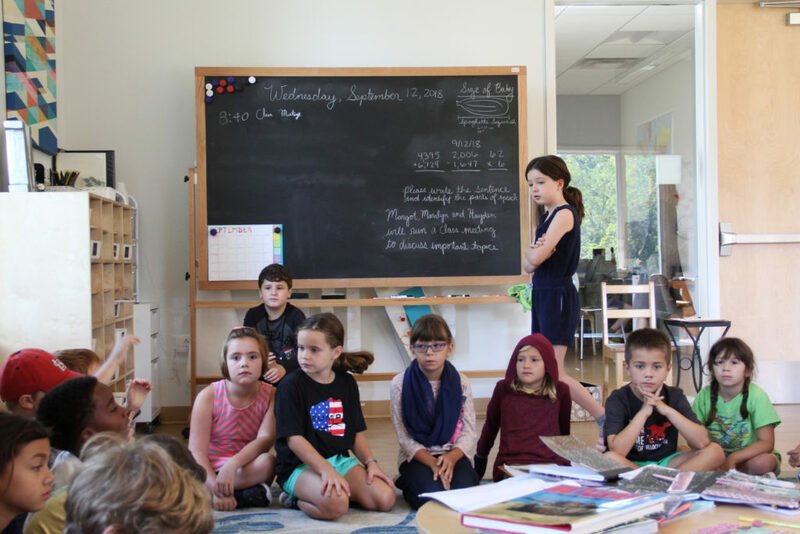 Those children will gather the day before the regularly scheduled class meeting to decide on the roles each will play and the agenda for the meeting. They categorize the topics their classmates have written in the notebook as either requiring discussion or not. They then choose one or two things that require discussion and three or four of the announcement type items to cover. Preparation for the meeting also entails checking in with the person who wrote in the notebook to make sure the topic is still relevant and to see if that person has something they need to contribute at the meeting. They also decide on their roles: secretary (takes notes during the meeting, recording all solutions offered and resolution of votes), officer (assists children in following the meeting rules with non-verbal reminders – such as a shoulder tap, also calls on children to speak and keeps track of the time) and facilitator (leads the meeting, opens and closes each item for discussion, and oversees voting). Once they have settled on the agenda and their roles, they are ready to run the meeting. As expected, the first few meetings were a little bumpy, but as the students practiced working with the notebook items and the agenda and each of the different roles, they have become more skilled. Class meetings run smoothly now, and everyone knows what is expected. After the meeting, the meeting notes and agenda are placed back into the binder, as a public record for the entire community. Should anyone forget what was decided, they can check. Now that you’ve seen an example of a class meeting, stay tuned for the home version: the family meeting. Special thanks to Megan for thorough information on the process for her class meetings and to Melinda Smith for the beautiful pictures of said meetings! Anna, thank you! You bring the Elementary experience to life.